This sounds and looks so moist and wonderful. I could hurt myself on a loaf! Have a great weekend Mary. 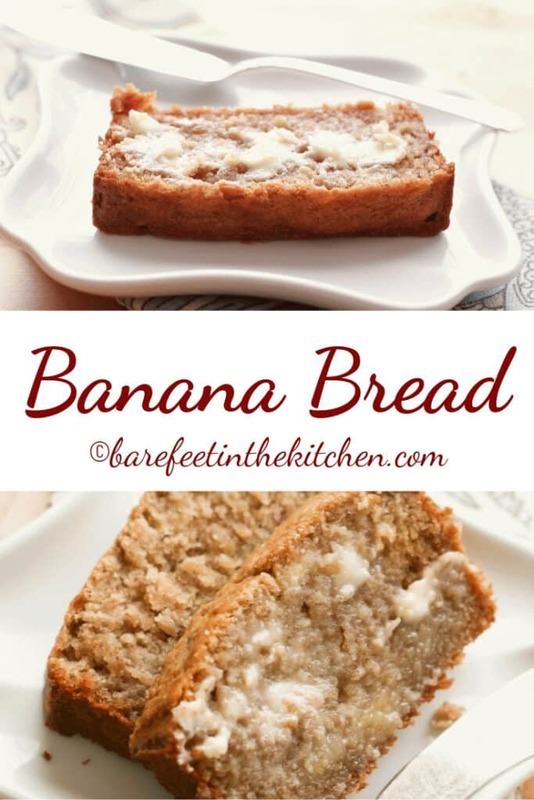 I'm on a banana bread kick right now, I want this! You have struck a food memory nerve! Wish I had some overripe bananas right now to make a loaf! I have pinned this to make later - looks and sounds delish! Very good. My husband thought it wasn't gluten free. I rocked his world. Thank you. Can white rice flour be used in lieu of brown rice flour? White rice flour should work fine in this recipe. Enjoy! I need to make this. I love sour cream in baked goods! Hi darlin! I just saw this on Pinterest and thought I had to stop by and say how good it looks. :) Miss ya! Absolutely #AmazingGlutenFreeBananaBread I made mine into muffins. Thank you, thank you, thank you!! Can you substitute gluten free all purpose flour for * items? It should work fine, but I haven't tried that myself. Let me know how it turns out for you and which brand you used! Enjoy! I made this last week using all purpose gluten free flour and added some cranberries and it was really good. it is moist and not too sweet. Thanks for the recipe. Making this tomorrow when my Thrive market delivery of all my GF flours gets delivered! How do you think it'd do with Greek yogurt in place of the sour cream?